Microsoft account plays a big role in Windows 10, without a Microsoft Account user can not access many of stuff present in the Windows 10. But sometime after upgrading to Windows 10 user start facing issue or error when they tries to login into their Microsoft Account. Due to this issue lot of damage may happen such as misplace of all emails, purchased apps, setting and more. 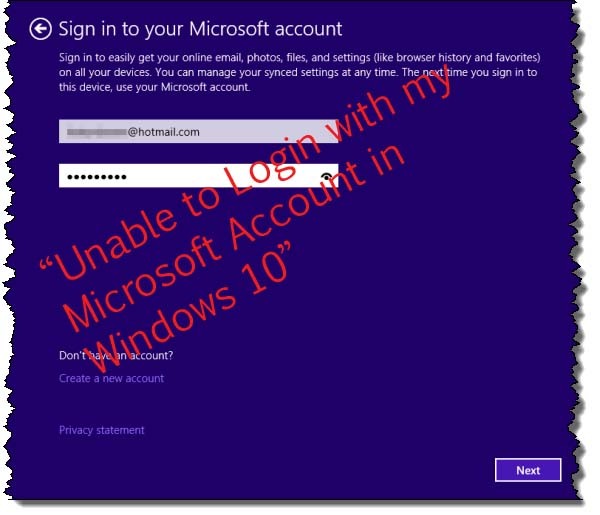 If you are suffering from this issue then don’t worry, this blog contains the complete method to get rid of “Unable to Login with my Microsoft Account in Windows 10”. 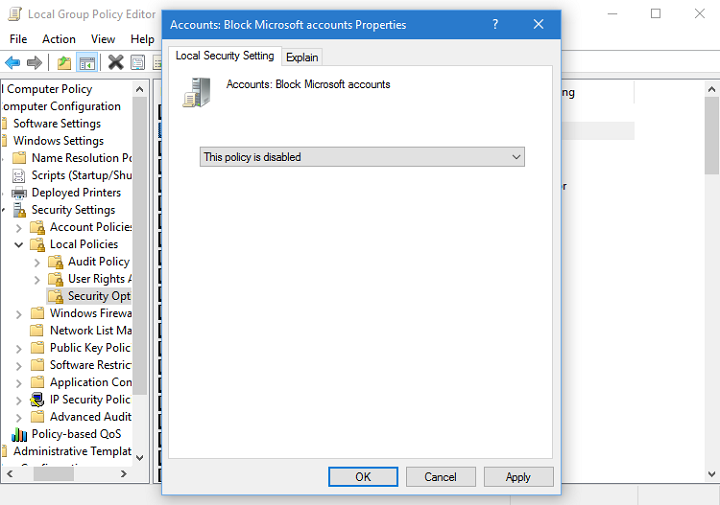 If Microsoft Account was blocked by a group policy because of any reason then the above given steps will fix it and make you able to login into your Microsoft account. In the basic recovery actions provided by Microsoft, these options will help you if you are unable to login to your Microsoft Account because of forgetting your password and more. If this is the reason then you can simply follow the Microsoft’s instruction to reset your password. It is also possible that your account may get hacked; if it happens then read below to confirm. At very first step try to log into your personal Microsoft account. If you are unable to login then go to the next point. From your account choose the “Recent Activity” option. If login was attempted by someone else then you will get “Was this you? If not let us know”. In case you notice more than one unauthorized actions then you have to secure your account by resetting a stronger password and by using some extra layer of security measures. Conclusion: It is hoped that after reading above given methods and tricks you can easily fix this issue with ease. It is strongly suggested that kindly create a backup of your registry database or create a system restore point in the manner to deal with any types of unknown issue while executing the above given methods.